Keto and Paleo diets both have their strong points and can help reduce inflammation, disease and aid in immunity. They are some of the most well-known low-carb diets available and many people also note that they have a higher sense of mental clarity and increased levels of energy. Even though both diets have several similarities, they also serve a different role in helping maintain adequate health. 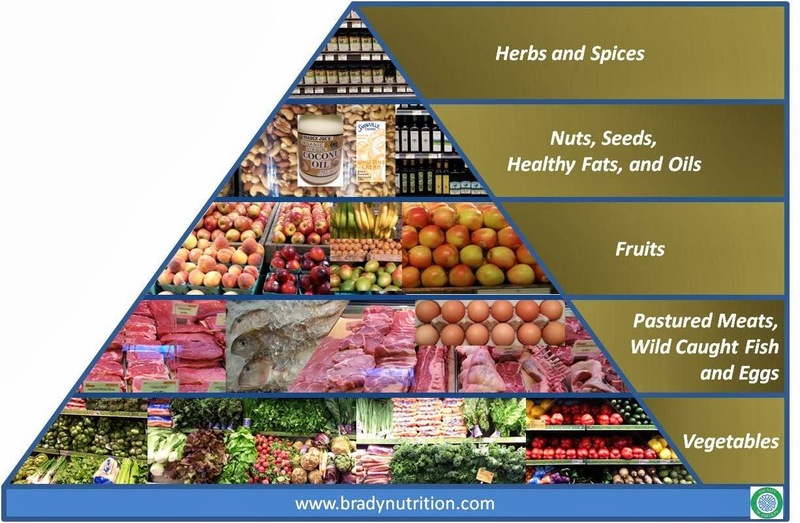 The Paleo diet focuses on removing some of the foods that are difficult to digest while the keto diet can be more effective in treating conditions like diabetes, cognitive disorders and obesity. Are The Diets Different than Atkins? When the keto diet first came into mainstream acceptance, it had already been used by the medical community for years to treat problems related to seizures and epilepsy. It's been around in some form since the 1920s and there is a lot of research to back up the effects and safety of the diet. When the weight loss benefits became realized to the general public, the diet grew in popularity. The ketogenic diet is essentially a diet where three macronutrients are carefully controlled to make entering a state of ketosis possible. In ketosis, the body begins to burn fat as its primary fuel source instead of carbohydrates. For ketosis to occur, more fuel is needed by the body in the form of fat and carbohydrates have to be severely restricted. While the numbers for a ketogenic diet may vary, there are certain percentage ranges that people should follow. Fat should account for the largest portion of the diet at about 70 to 80 percent of total daily calories. Protein should be the next highest with 20 to 25 percent of the daily caloric consumption. Carbs come in last at only 5 to 10 percent of total daily consumption. Getting into ketosis is the hardest part of the diet since the individual usually feels weak until the body starts processing fat instead of carbs for fuel. The diet can help to eliminate a dependence on fast-burning carbohydrates for fuel and replace them with the more consistent and even fuel that is derived from fat. While some people have concerns the ketogenic diet is too restrictive, it has been shown clinically to have some positive health benefits by promoting insulin resistance and other factors. The basic premise of the Paleolithic diet comes down to one maxim: If your cavemen ancestors didn't eat a certain food, then you shouldn't either. The diet removes the restriction on counting calories and essentially allows you to eat whatever you like as long as you eat the right types of foods. The diet is known by many names, including the caveman diet, steak and bacon or even the Stone Age diet. The concept behind the diet is that our ancestors were healthier because of the kinds of foods they had access to. If they couldn't hunt, fish or gather a food, then they didn't eat it. Many purport that the rise in processed foods is the cause of chronic diseases. Grains, legumes, dairy and other food weren't available until modern technology made it possible, and it's suggested that these foods are harmful to the body. While it's easy to assume ate whatever was most easily accessible, it's not possible to assume that this means a caveman lived mostly on meat. According to UC Davis Health, depending on the environment, the ancient ones may have lived on diets that consisted primarily of plants. Tropical environments would afford more plant foods than arid environments. However, the basic premise of the Paleolithic diet is sound. Dieters avoid processed foods that contain added sugar, cut out bad oils and increase consumption of healthy protein sources. The diet also eliminates grains and legumes, including barley, oats, soy, corn, peanuts, beans and wheat. By doing so, the diet is able to help reduce inflammation and promote improved health. Both the Paleo and kept diet have certain similarities. Both diets are designed to reduce inflammation and improve your overall level of health. The diets both concerned mostly with eliminating grains and legumes. While technically, on a keto diet you can include these foods, it's not really practical when trying to keep your carbohydrates below 10 percent of your total caloric intake. The diets both place a heavy emphasis on getting health forms of fats. Fats that come from nuts, animals, coconut oil and seeds are all great sources and they are permitted on both diets. The diets also eliminate refined sugar to provide more consistent energy and reduce overall inflammation in the body. Refined sugar has been shown to be both highly addictive and harmful to the treatment of certain diseases. Proponents of the diet also encourage that dieters eat plenty of non-starchy vegetables and leafy greens. However, this is a bit more complicated on a ketogenic diet since carbohydrate levels have to stay so low. Many people confuse the Paleolithic diet as one that is low in carbs, but it doesn't restrict carbs in the same way as a ketogenic diet does. Some of the confusion between the keto and Paleolithic diets is created because it's possible to conform to both diets at the same time. 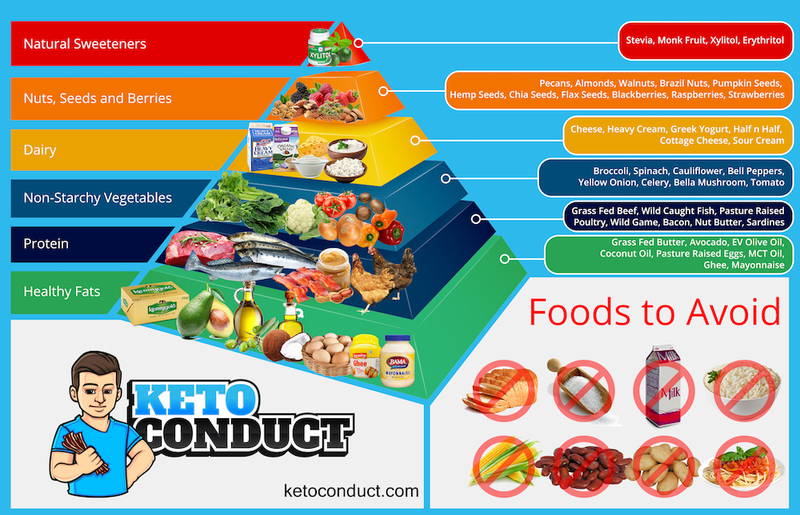 If you follow the food restrictions of the Paleolithic diet and the caloric restrictions of the ketogenic diet, you can engage in both diets simultaneously. Paleo and keto diets have several differences between each other. At its core, the keto diet is much stricter than the Paleo diet. When managed properly, both diets can be healthful options that can work as a lifetime diet. However, when restricting foods in any manner, it's important to make sure that regular testing is done to make sure you're getting the right levels of necessary nutrients. The Paleolithic diet doesn't have to be a low-carb diet, but the keto diet does. This is one of the biggest differences between the two diets. While the Paleolithic diet may become low-carb because of the restrictions on certain foods, there is no set limit on how many carbs you should take in on a daily basis. This means that the body may continually burn glucose for energy, which can effectively stop you from entering ketosis. Since there are many health benefits of entering ketosis, this is one area where the Paleolithic diet is less desirable. Since there are no restrictions on carbohydrates, the paleo dieter can consume a much higher quantity of fruit as well. The reason for restricting macronutrients on a ketogenic diet is to make it possible to enter a state of ketosis. This means that on a keto diet, it's also necessary for an individual to get tested regularly to find out if they are in ketosis. In contrast, Paleo dieters are somewhat in the dark about whether they are achieving optimal states. Since there is no test to determine if you're in "paleo," dieters have to rely solely on whether or not they are eating the right foods. With so many options available, every paleo dieter is likely to have a different diet than the next maintain a different approach to eating. Since the Paleolithic diet makes it possible to tailor the total number of carbs consumed, it may be a good option for those who want to slowly work into a ketogenic diet. On a long-term basis, the ketogenic diet has been proven to provide a greater range of benefits than the Paleolithic diet. However, this is also partially due to that fact that with so many possible variations in a typical Paleolithic diet, it's a more difficult program to accurately study. Since the macronutrients are essentially fixed on a ketogenic diet, it's easier to monitor how different foods and lifestyle choices affect the outcome of the diet. The Atkins diet started the battle against carbs, but it does vary from the ketogenic and Paleolithic diet in a few key ways. Atkins has more in common with the ketogenic diet since it is focused on restricting carbohydrates to enter a state of ketosis. The early forms of the Atkins diet aimed to get people to completely restrict their carb intake in any form and eat as many nuts and protein as they could get their hands on. This led to some health problems, and it became clear that this diet was not intended as a long-term solution. The diet is still fairly popular, and it is safer than it used to be. While it bears a strong resemblance to a ketogenic diet, dieters should view it as a very strict form of keto that can cause serious problems, including a serious condition known as refeeding syndrome if the dieter doesn't maintain careful monitoring of their health. People who engaged in the Atkin form of the diet early on would drink heavy whipping cream with their coffee and enjoy the equivalent of three or four steaks per day. The diet was heavy on animal fats, and it caused some problems for those with already compromised health. The right diet for you really depends on your goals. Some people who go on a ketogenic diet note that marathon running and intense exercise regimens aren't possible in a veto state. The body uses carbohydrates to sustain long periods of running, and the keto diet may not be suitable for someone who engages in intense physical activity for prolonged periods of time. However, there is also plenty of evidence to suggest that a keto diet can actually help improve muscle tone and mass when done properly. Paleolithic dieters are capable of eating a larger variety of foods, so this diet may make more sense for the dieter who is interested in engaging in intense exercise. Carbohydrates can provide easy and quick energy for those who want to maintain high levels of endurance during prolonged physical activity. This diet is probably the easiest for most people to begin with, and it can serve as an effective starting point for those who want to experiment with a low-carb diet approach. Many people who begin on the Paleolithic diet eventually transition to the more restrictive ketogenic diet. As for Atkins lovers, it's really only a diet that is suitable for those who have very specific medical needs. If it's important to lose weight before a surgery, this could be an ideal diet to help make that surgery a bit safer. In fact, that was the original intention of the diet. It's not a very effective diet for a long-term solution for those who want to maintain optimal health.